What is your favorite L-L basketball section? What is the best way to win at the end of the game? Who is your favorite NBA player in this group? What play pumps you up the most? If you could have one dominant skill, what would it be? 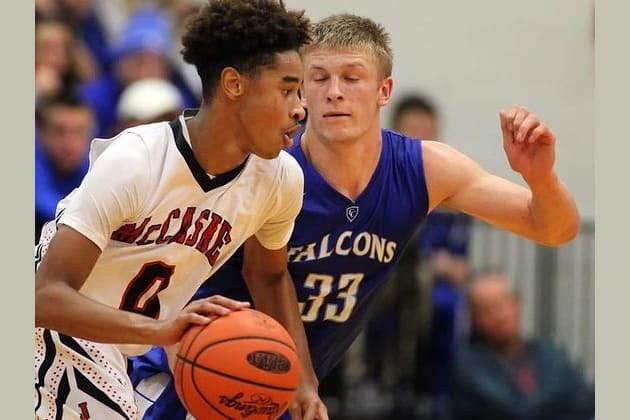 You are McCaskey's Kobe Gantz! Tell everyone to get their popcorn ready because you are 100% excitement. People come to watch you just to see what you’ll do next! You are Manheim Central's Taylor Funk! People don’t confuse your quiet demeanor for weakness. Your loaded repertoire of skills can calmly take over most situations. You are Cocalico's Tucker Lescoe! You aren’t afraid of big moments. When the pressure is on, you’ll find a way to get the job done. You are Cedar Crest's Evan Horn! You’re a natural born leader with a very well-rounded set of skills. Your team looks to you when the chips are down. With half of the 2016 L-L basketball season in the books, it seems like the right time to figure out which L-L player you are most like. Find out now!